Derry is just like any other border town. It just so happens to border Northern Ireland and the Republic of Ireland and has a tumultuous history. The British have always fought to claim it as theirs and the Republic has fought to keep it as their own. Neither is right, neither is wrong. It’s just a city that has been the apple of everyone’s eye. It’s worn down by it’s tough exterior and it’s massive walls that encircle the city give it a mean demeanor. The streets tell tales of a storied past. The stones whisper of wars and famines and droughts. Take a guided tour of the walled city and they’ll tell you everything you’ve ever wanted to know and even things you didn’t even know happened right before us. U2’s famous “Bloody Sunday” sings about the tragic day when the “Troubles” came to head and many brave souls lost their life. But this town, although harrowed in it’s past, is nothing but lively and strong. 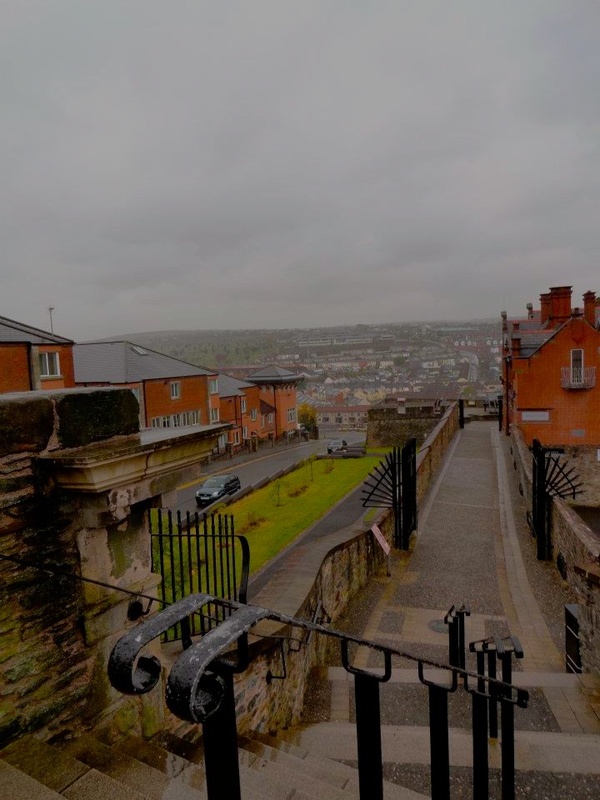 I stayed in the Derry side of Derry/Londonderry at a Bed and Breakfast called the Clarence House. Every morning my group and I were awoken to a full Irish breakfast; coffee, tea, biscuits, sausage, eggs, pancakes, juice, blood sausage, bacon. This full meal allowed us to skip lunch and save some money which is always a plus when traveling. The pub fare was much better than expected. I thought I would be eating potatoes and some kind of meat with every meal (partially true) but the influences that carry throughout their dishes is unexpected and refreshing. I recommend the Sheppard’s Pie, Guinness Stew, and the Baby Guinness. As anyone will in Ireland, I drank my fair worth and none of it is bad. Try it all. Enjoy it all. Definitely drink a Guinness. 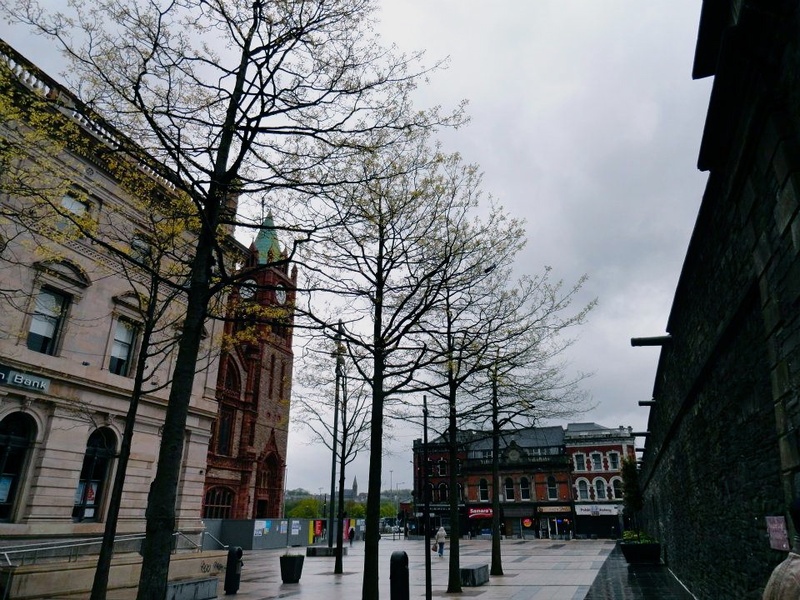 I was in Derry for 15 days and literally fell in love with the charmed city. Although its residents will ask you, “How could you ever love this bloody place?” The rolling streets (and sometimes unbearable uphill’s), the small shops and pubs that you always envisioned in Ireland call to you from every corner. But what I fell in love with most about Derry were it’s people. I’ve always considered myself a cultured person, I’ve done my fair share of traveling and I always seem to be drawn more to the people than the city itself. I feel as through the residents of any city are what its true core is. A city in of itself is just that, buildings and churches and roads but with people; it comes alive. You see the true colors and the spirit that’s shining through. Derry’s people were like none other I had ever met. Anyone would offer you a ride, buy you a pint, tell you stories and cook you dinner if you had asked. 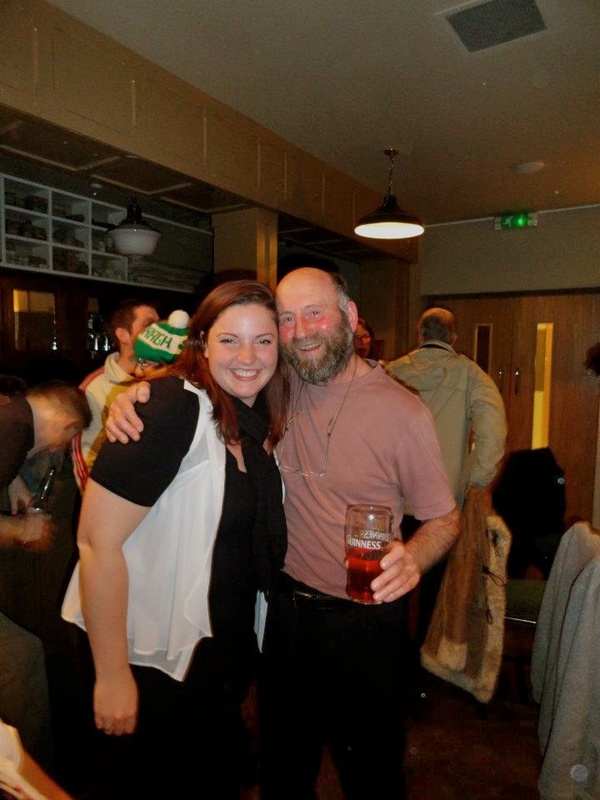 Their incomparable hospitality and good nature almost takes you by surprise, I had always heard the Irish would talk your ear off but I couldn’t have imagined what I experienced. Some of my dearest memories will always reside in Derry.